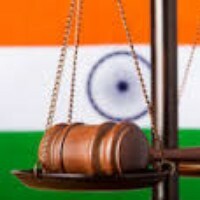 Blawgniti is a blog started to write about Indian laws, enforcement and other allied topics. Will it be good for the Indian society to legalise prenuptial agreements? Sujoy Mukherji, Associate at Naik Naik & Co. Personally, I think it could be a good thing, if used properly and effectively with proper degree of explanation in the Act that would govern it. What are some key ‘sound marks’ registered under the Trade Mark Rules in India? I like interesting questions such as yours, so thank you for that and I promise not to make this answer too long.